So you aren't scared of clowns? You will be now! 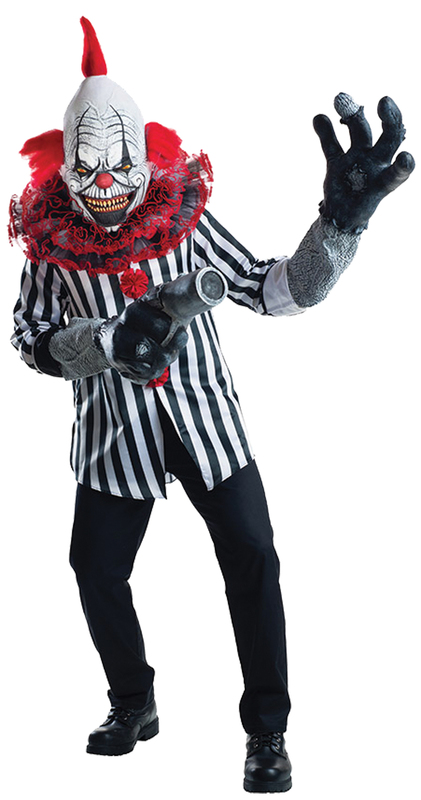 Oversized creepy, pinhead clown mask with arm/hand extensions, ruffle collar and clown shirt. Simply add your own pants and shoes and you have one fantastic costume that will have your friends scared to death. One size fits most adults.